Chinese imports of iron ore keep falling, while its crude steel production keeps growing. China's increased use of scrap metal for its production of crude steel is fundamentally critical to the dry bulk shipping industry. Mostly Capesize ships are impacted by this, way beyond the temporary iron ore export disruptions in Brazil and Australia. "For two decades the dry bulk shipping industry have relied on growth in Chinese steel production to continuously spur seaborne imports of high-quality iron ore - from Australia and Brazil. "The 10.3 million tonnes fall in Chinese iron ore imports is equal to 57 Capesize loads (180,000 tonnes) fewer for the first two months of 2019 only. If that's the pace we will see for the full year, we are in for a tough time." It's no longer only a matter of squeezing out low-quality domestically mined iron ore from the list of ingredients to grow Chinese imports. The focus area of the past 5-10 years is changing. It has become secondary to the rapidly increasing use of scrap steel. This development is a very illustrative example of the potential negative impact the circular economy will have on shipping. Changes to the Chinese steel-making industry have pushed a move towards increased use of scrap metal, away from using imported and domestically mined iron ore blend into a solid amount of coking coal. China's seaborne imports of coking coal fell by 11.2% (4.9 million tonnes) in 2018, with the slide continuing into 2019. Chinese coking coal imports are down by 16% in Jan-Feb 2019 from the same period in 2018. 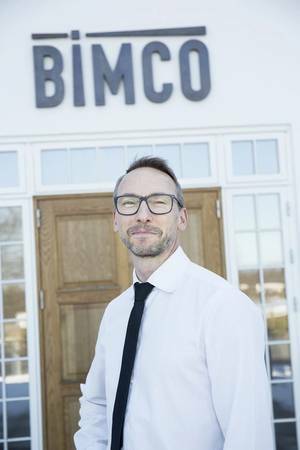 "This year, BIMCO is putting special focus on this decoupling between steel production and iron ore imports, as the mega driver for Capesize transportation demand may not only disappoint, but worsen its fate," says Peter Sand. While India has now surpassed Japan as the world's second largest steel producer - it produced only 12% of what China did in Jan-Feb 2019. Indian crude steel production grew by only 22,000 tonnes (+0.1%) in Jan-Feb 2019, according to the World Steel Association. In 2018, China produced 52% of all crude steel. Putting the significance of China further into context, global crude steel production excluding China, fell by 1.5% (-2.2 million tonnes) in the first two months of 2019. "Exports during April from the Pilbara coast ports will be affected to some degree in the aftermath of TC Veronica due to the damage done, including flooding," says Peter Sand. How can that be? Isn't the BCI simply the index value of the "average of the 5 time charter (T/C) routes for Baltic Capesize Index"? No, it's not. The BCI is compiled from 11 routes in total: the 5 T/C routes and 6 "dollar per tonnes" routes. The T/C routes account for 50% of the BCI with the dollar per tonnes routes accounting for the other half. Most relevant in this context is the fact that Brazil-related trade has a higher weight in BCI than in the average for the 5 T/C routes. From 25 January to 2 April, the average of the 5 T/C routes for Baltic Capesize Index (USD per day) fell by 74% from USD 13,288 per day to USD 3,460 per day. Comparing the BCI and the actual rates, it looks like the BCI tends to exaggerate the actual development. When the 6 "dollar per tonnes" routes over the same period of time, from 25 January to 2 April, fell between 27% and 45%. Why is it that the BCI has a much higher volatility than any of its components? And why is it falling by 95% - when nothing else is? Is it because volatility is endeavoured in an FFA market? Bottomline is that, freight rates are low in the Capesize market right now - but freight rates did not drop to 1/20 of what they were on 25 January over the course of the following 9½ weeks. Since freight rates for Brazilian exports have been particularly depressed since the Brazilian dam collapse in January - the BCI has fallen dramatically. As Brazilian exports weigh more in the BCI than they do in the average of the 5 T/C routes - a gap between the two has opened. "Looking forward, iron ore will no longer drive the Capesize market up as it has been doing for two decades. Freight rates will become more negatively impacted by fleet growth than before, as demand is now falling, for the all-important Capesize commodity. This year alone, 13 Capesize ships have been demolished, while 12 have been delivered including five Valemax. Over the past 12 months - the Capesize fleet has grown by 2.8%. If iron ore demand from China stalls or outright falls going forward - then the fleet size must stall or fall - simply to keep the market balance from getting worse", says Peter Sand.